At this time the industry was in a state of flux and readership was split amongst such disparate tastes as readers of popular novelists Marie Corelli, Elinor Glyn and Ouida, adventure novelists H. Rider Haggard and Rudyard Kipling, and the Ruritanian genre, and readers of a more serious vein of fiction–G.K. Chesterton, Hilaire Belloc, or the Webbs–though Dickens, Eliot and Thackeray remained perinneal favorites. The quantity of books published during the 1900s advanced considerably, with the number of new publications doubling between 1901 and 1913 from 6,044 in the former year to 12,379 in the latter. This trend lay in the improvement in family incomes and the ever-increasing interest in education, which accelerated with the decline in illiteracy. Aligning with this increase were the sudden growth of public libraries, whose public expenditure jumped from 286,000 pounds in 1896 to 805,000 pounds in 1911. Also, during this time, publishers made an attempt to make the classics more accessible to the reading public, and Collins’ Classics and the Everyman’s Library, each sold at modest prices in relatively durable editions, did much to extend an interest in classic English novelists and essayists. 1. First, the aspirant should see that the typewritten copy was accurate, fastened together securely, and most importantly, clean. Their name and address, the title and description of the manuscript, and the length of the manuscript in words, should be prominent on the first page. A letter offering a view to publication and a request for return should the manuscript be rejected accompanied the manuscript in the mail. 2. When the manuscript arrived at the publishers’ offices, a clerk enters the particulars of the book into a ledger and it was shoved aside with other manuscripts to await the casual inspection of a partner or manager. The book is then taken from the pile and handed to a reader. It was their job to sift through the chaff to get to the wheat, and authors were advised to remember that “Publishing firms flourish by making profits; and profits are made out of books that sell; and it is in the business of the reader to recommend not good books merely, but good books that will sell.” Even if the reader enjoyed the book, there was a chance for rejection from the publisher if the lists were full or the reader’s remarks weren’t eye-catching enough. However, should the publisher accept the novel, to the trembling author went a contract. 3. The author was advised that under no circumstances should they bear the whole or part of the expenses of publication–that was to be born entirely by the publisher–nor should he agree to be remunerated on the half-profit system. The newly acquired author would then be remunerated in one of three ways: the publisher buys the entire copyright of the book for a lump sum down, (b) the publisher buys the copyright for a term of years, at the expiry of which it reverts to the author, and (c) the publisher may acquire the right to publish during the whole term of copyright, or for a shorter term, by agreeing to pay the author a royalty on every copy of the book sold (generally 10%, though well-established authors could revieve 25-33%). 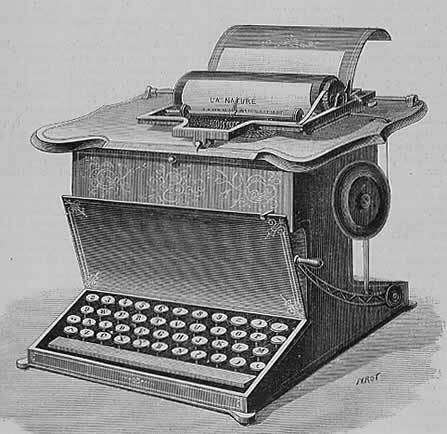 However, unlike today, this latter system did not guarantee an advance, and first-time authors were advised against insisting on an advance until they made a reputation. 5. The literary agent was someone to aspire for, as the more successful agents were loathe to take on unknown authors who could prove unprofitable. According to advice, when the aspirant has made a name for himself and has the ability to his work on his own, then was the time to go to an agent as now the popular author–via their newly acquired agent–could demand a higher advance, more publicity and better placement in the lists. The agents’ percentage hovered around 10%, though once the author’s income exceeded two thousand a year, the agent should be willing to accept 5% on all sums over that amount. The author with a little success would be tempted to publish their books in other countries, and while first-time authors were advised against worrying over foreign copyrights, then as today, a book that was a smash hit in England frequently fizzled in the United States, and vice versa. But in the end, the aspiring novelist turned published, had as equal a chance for success as authors today. Worries over advances, publishing profits, and so on preoccupied everyone, but thankfully, not enough to mitigate such wonderful novelists whose works have remained timeless classics in our age. Very interesting! It seems publishing hasn’t changed all that much in the last century or so. I am a spanish student. I’m doing work on an English author, Margaret D’Este, who travel to the Balearic Islands in 1906 and later published a book about his experience, “With a camera in Majorca”, in 1907, in Putnam’s Sons, London. His book was printed by Unwin Brothers, The Gresham Press, in Woking. I can not find information about it, all I know is that was accompanied by Mrs. RM King and published two books about her travels (on Corsica and the Canary Islands). If anyone has any information about it I would love to make it available. Thanks! A number of books have appeared recently about Corsica, and another is promised by Messrs. Putnam. It is by Mme. Margaret d’Este, who has had opportunities of seeing Corsica very well. Her mother, Mrs. R. M. King, has taken many photographs, and the volume is called Through Corsica with a Camera. The book is announced by the Putnams and will cost 7s. 6d. net. Thank you very much for the info, now I know that Mrs. King was her mother! If you find more information about Margaret D’Este, I would greatly appreciate you sent me. Thank you so much!